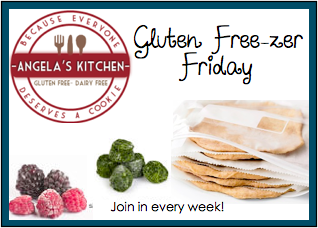 Hold on to your spatulas, I’ll be starting up Gluten Free-zer Friday again next week. Are ya with me? If so, get your cooking mits on and pull together some gluten free yumminess for the freezer so we can have some linky freezer love! I have some great things in store for you for the next few weeks (think coffee cake, lasagna, etc., etc.). I would love to have you join me with your wonderful creations that can be frozen for later. Four years ago: Cheesecake Pops! Oh! sounds like fun, can't wait!